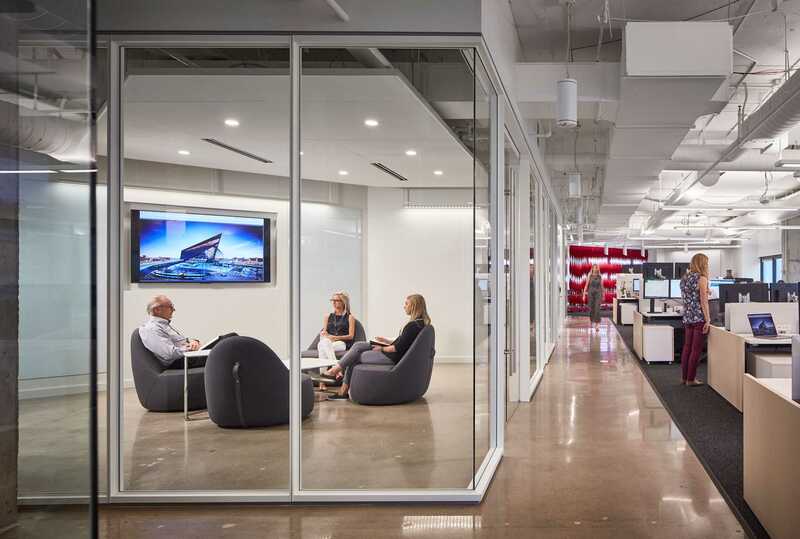 We began by engaging our employees, leadership, consultants, clients and communities in conversations to see how our offices could be a living lab for new ideas reflective of our talent, culture and community. We introduced the idea of greater transparency into our spaces so we could connect with our neighbors, our cities and each other. And, we considered the impact our offices would have on the environment and on the health and well-being of all they touch. Making ideas tangible, problem solving — that’s what we do. We care about how things look as well as how they work, because we believe great design is at the intersection of aesthetics and function. Nurturing a creative workforce means allowing individuals the freedom to experiment and discover. Sometimes it’s messy. Often it seems chaotic. But, that is where great ideas are born. We’ve done a lot of research into the neuroscience of how people experience their environment and what factors boost wellness, learning, creativity and productivity. Today, before we identify the elements of our program, we seek to understand the place in which our offices are located — the building, the neighborhood and the city. We consider the personalities and work processes of the people who will live in the space. And, we explore the fundamental goals, brand characteristics and purpose of the client. 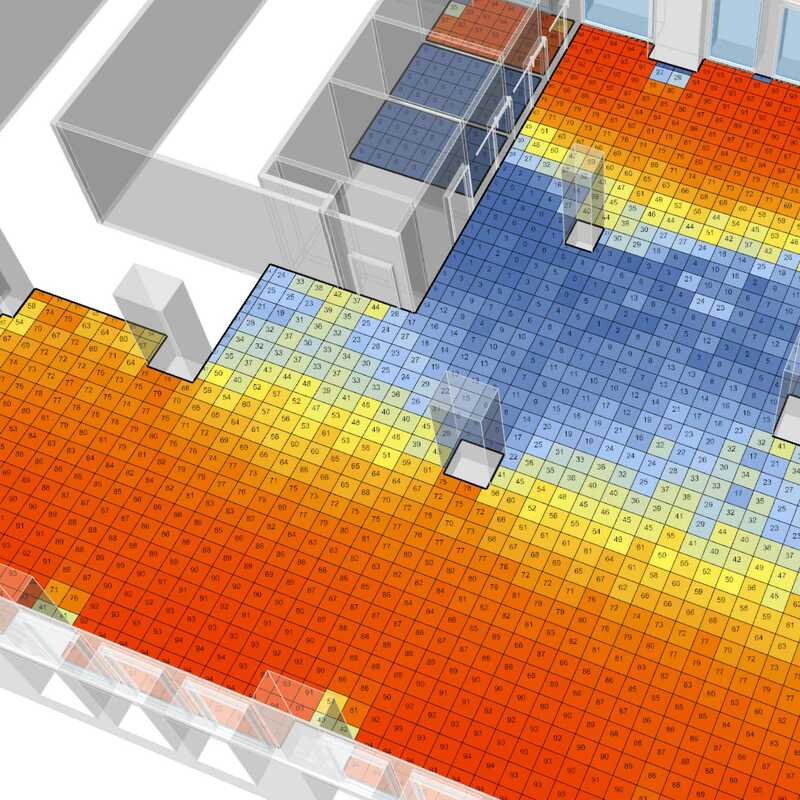 Our firm recently joined an alliance with the Well Living Lab, and we’ve committed to advancing the many ways that design can foster better well-being. As a sign of this commitment, our next office undergoing renovation, Chicago, has received LEED Platinum certification and is pursuing WELL Gold certification. It is on track to become the first workplace in Chicago to achieve such a high WELL rating. We will continually monitor the impact of our offices on the health and productivity of our people over time. In September, our first office celebrating a milestone as well as debuting a renovated space will be Detroit, celebrating its 10th anniversary in the Detroit Metro area. We’re also opening a new studio in downtown Detroit, a sign of our ongoing commitment to that city’s renaissance. Chicago’s new office — a move to a new location, in an historic Daniel Burnham-designed building, The National, will follow. 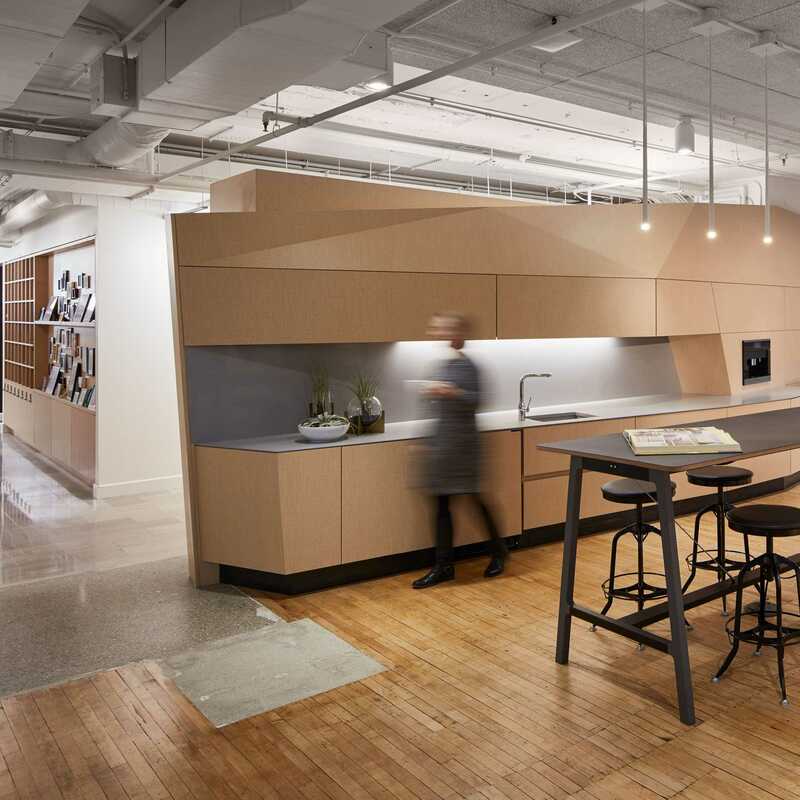 Design directors Kate Davis and Tony Montalto offer their perspectives on how the office reflects who we are and how we design at HKS Chicago. At the end of 2017, our London Office moved into a prominent, shop-front location in Fitzrovia, north of their current home in Soho, debuting a new STUDIO that celebrates transparency and urban connectivity. 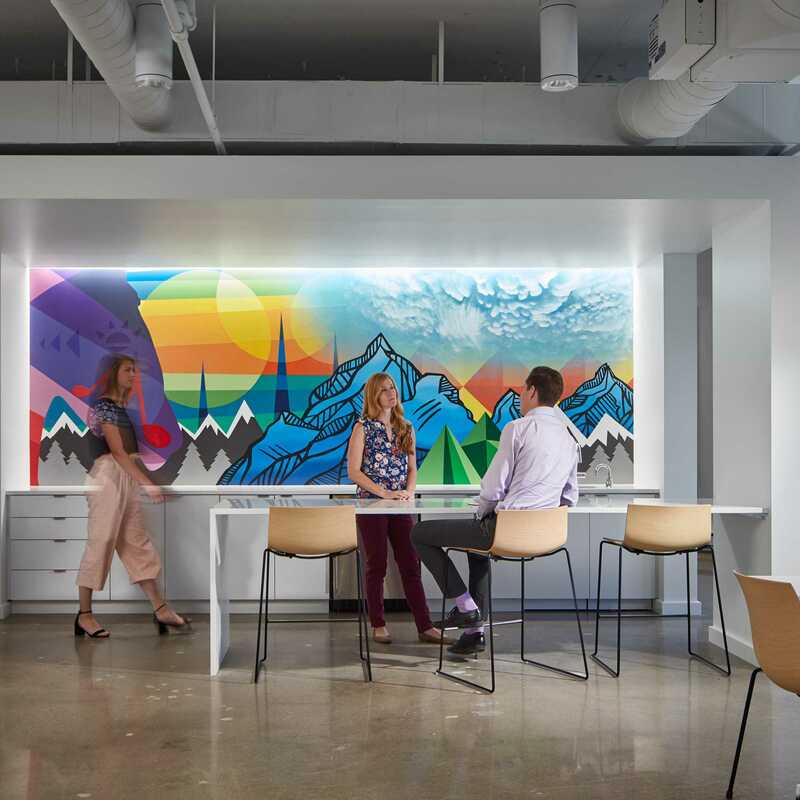 Our offices in Denver and Dallas will follow with changes of their own in 2018; in Denver with a new location, and in Dallas we plan to update our HKS Lab and also the landscaped urban spaces adjacent to our headquarters. The HKS brand has always been synonymous with excellent customer service and project delivery. Today, we are solidifying our position as a design-centric firm committed to discovering what’s next while testing what works. We are sharing that conversation on social media through the #HKSToday campaign and we invite everyone who experiences our offices to join the dialogue. HKS Denver, led by Tom Harvey, recently moved to new quarters in the North Tower of 999 18th Street. Infused with the spirit of Colorado, the new space reflects our values and commitment to the local community and beyond. Most of us can agree that the noise and chaos of a construction site is best observed from a distance, but there isn’t always a choice when renovating a space you already inhabit. Dan, an architect, is focused on the big picture — ideas versus projects. He is passionate about connecting the members of the firm with an esprit de corps of enthusiasm, devotion, creativity and humility that leads to inspirational architecture.